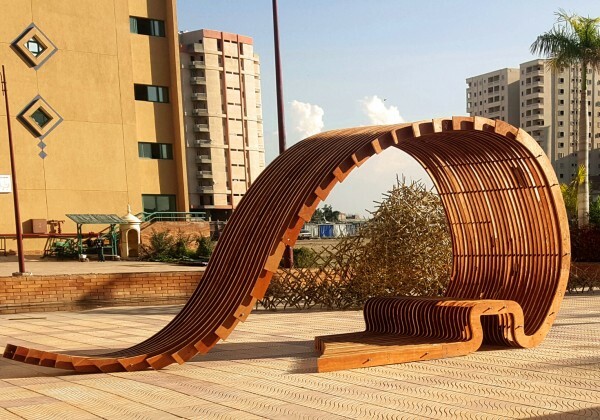 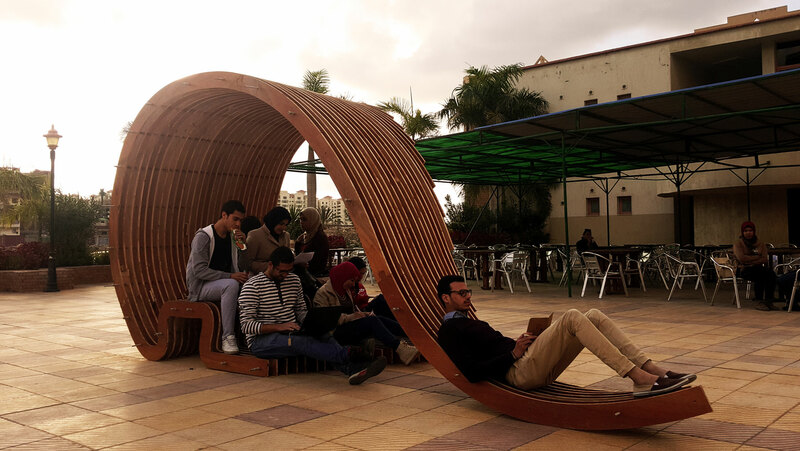 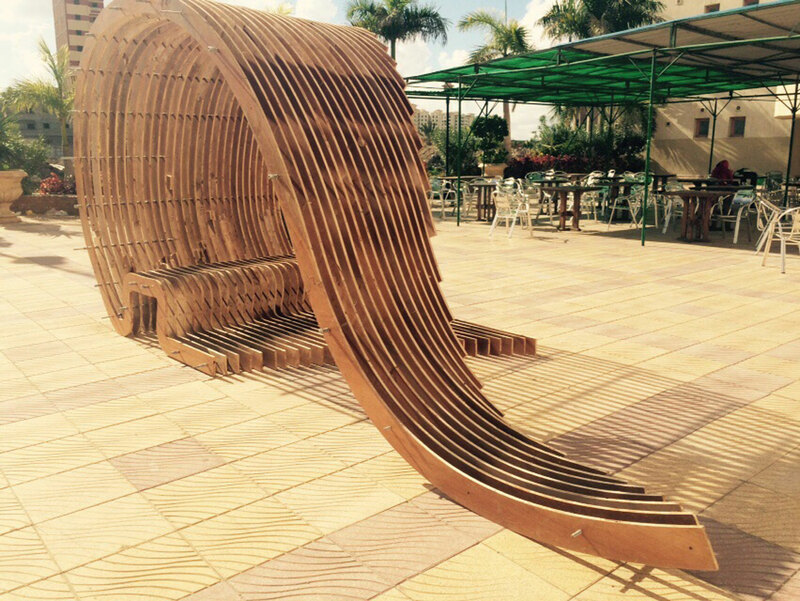 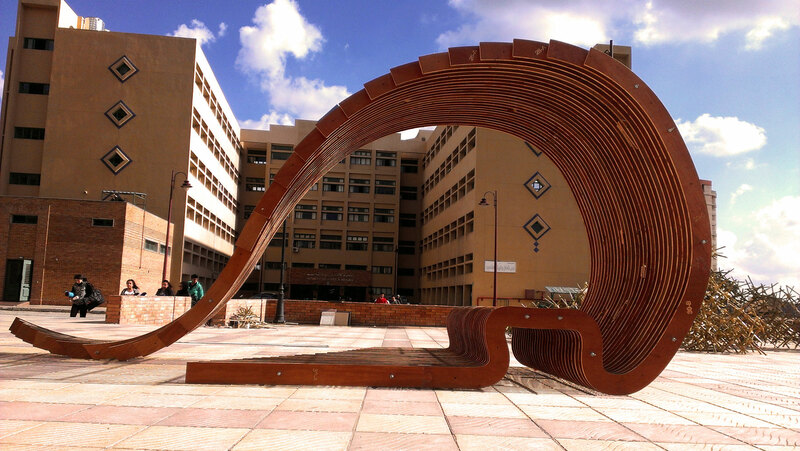 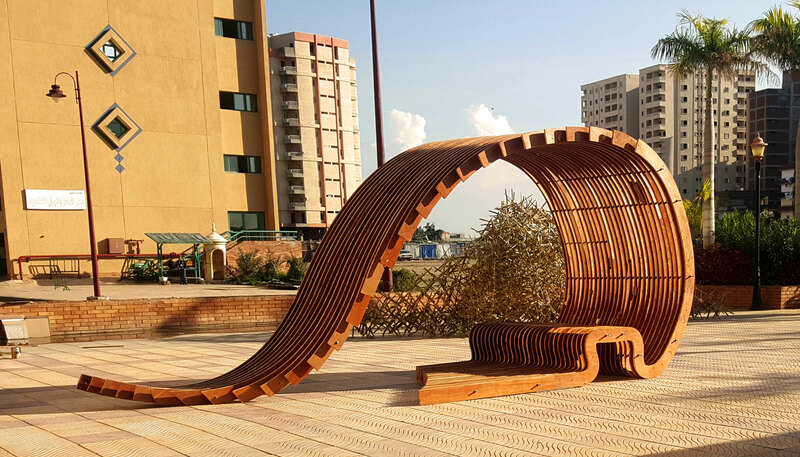 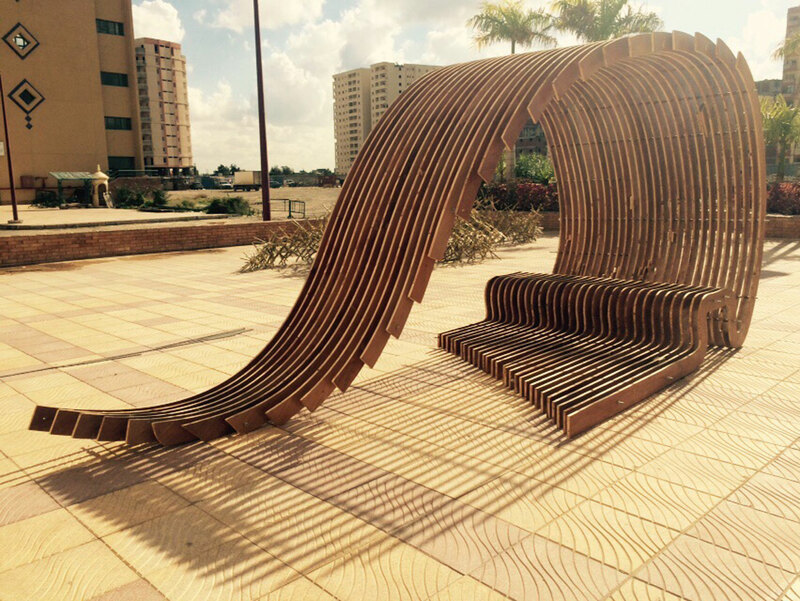 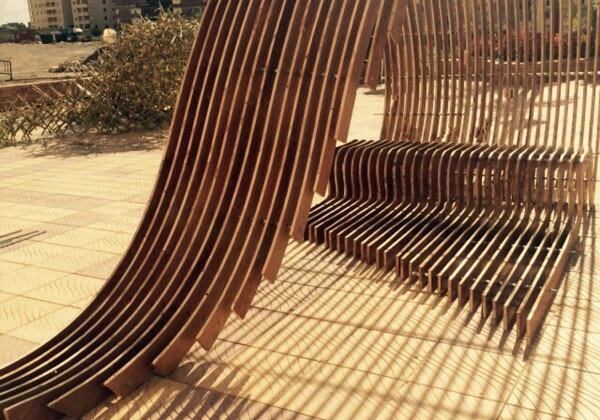 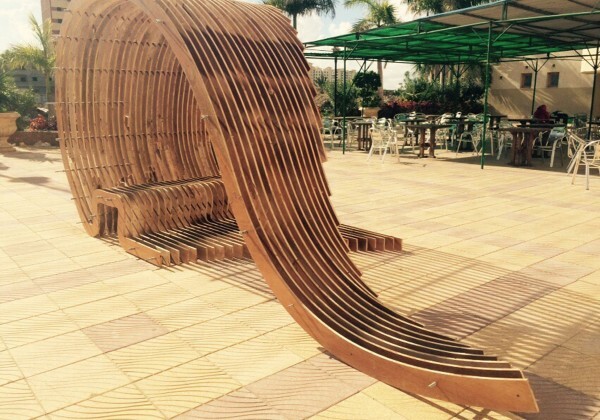 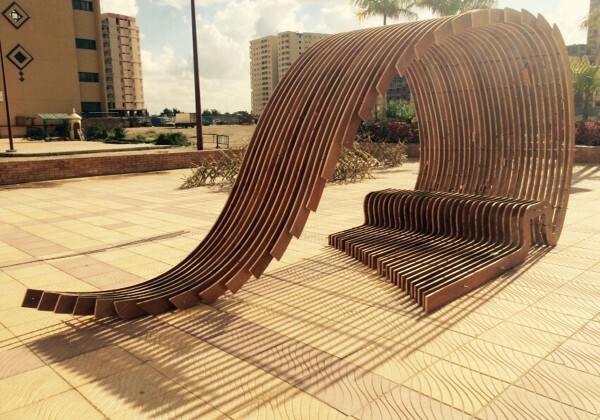 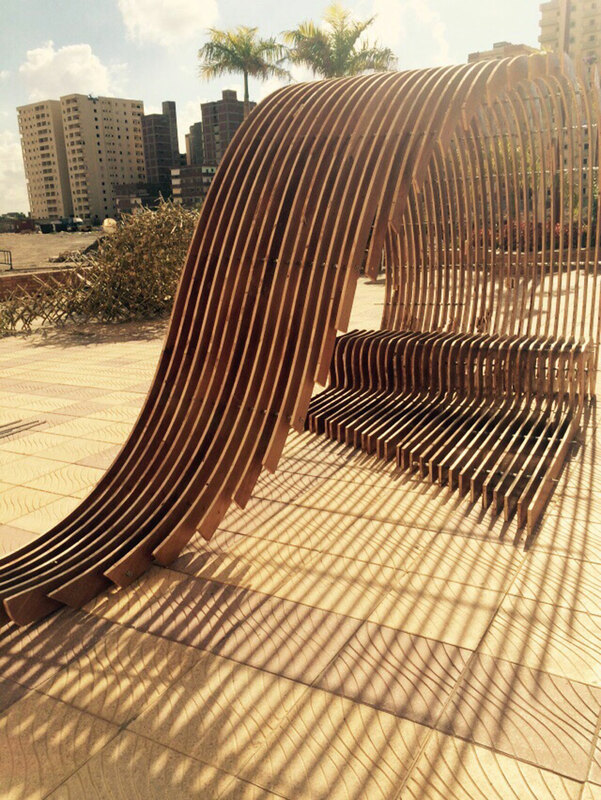 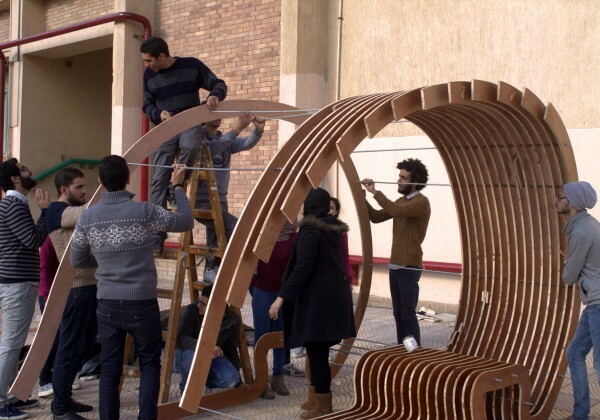 The project is located at Pharos University in Alexandria, Egypt, Faculty of Arts and Design, through Furniture Design 3 course, Code IDF 4102. 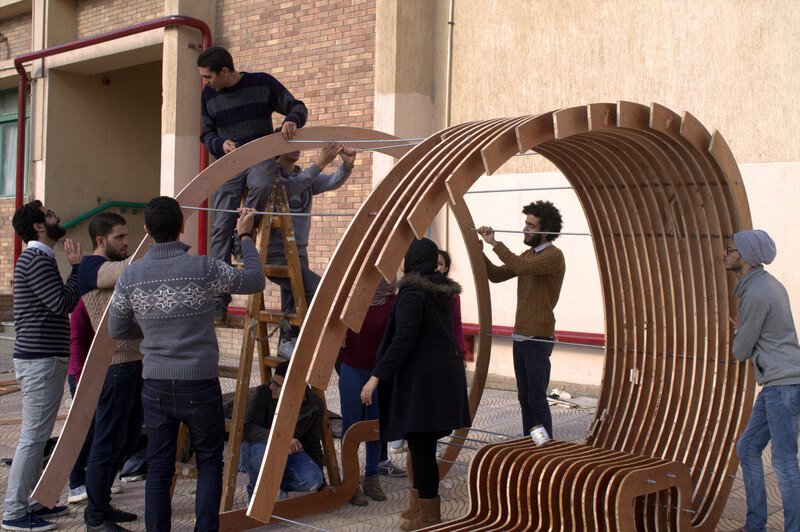 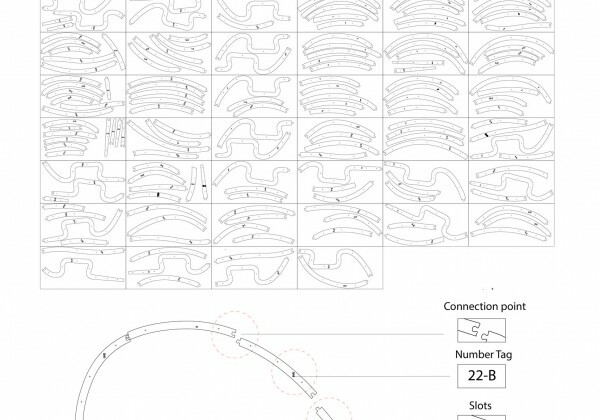 The project is well dedicated for a digital fabrication strategy, creating a contouring outdoor pavilion using modeling algorithms and 3d programs in order to explore accurate freeform shapes The form has been developed through various phases, starting with a physical model through analogue methods, reaching the final 3d prototype that came out in a digital form following golden section through CAD (Computer Aided Design) and CAM (Computer Aided Manufacturing) technologies, which have allowed development and controlling for the complex geometries of the parametric seat modeling. 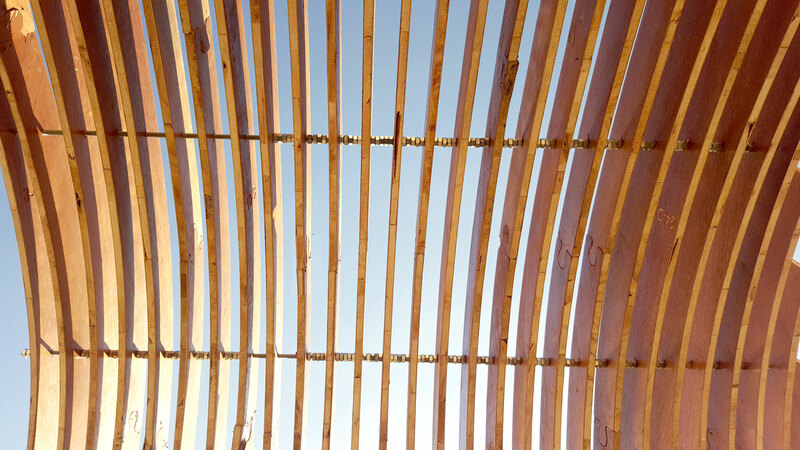 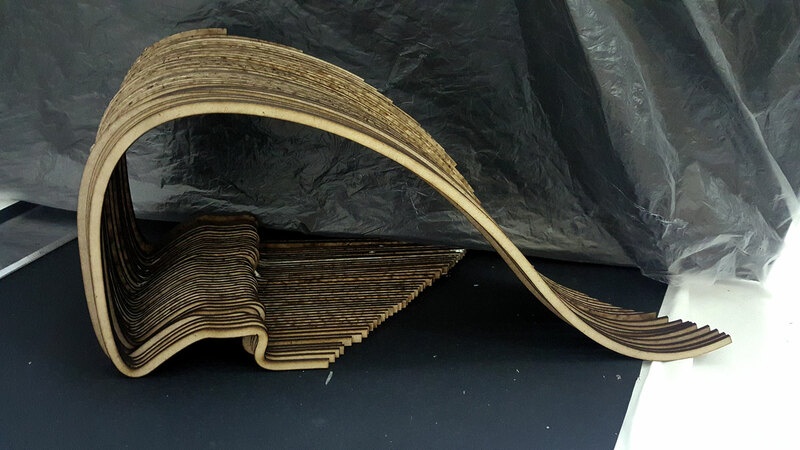 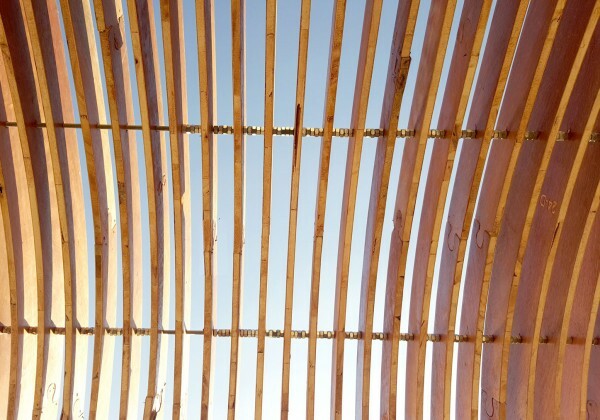 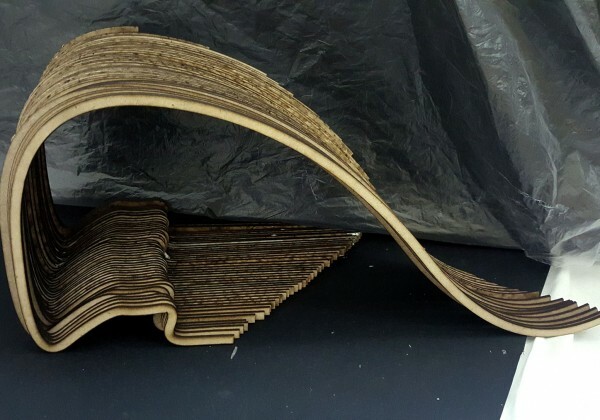 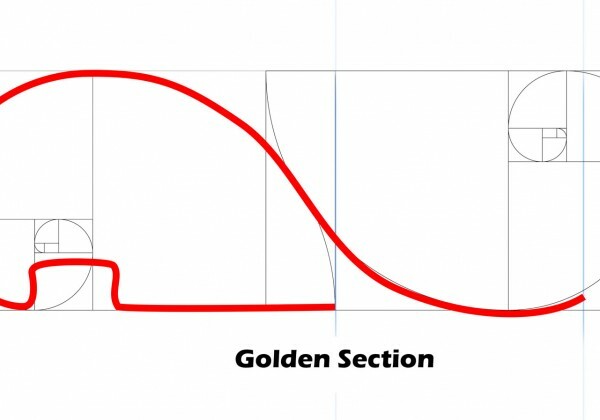 The assembly phase has been carried out following a particular order and sequence for the parallel planar sections of wooden sheets that are placed at regular intervals, achieving a highly curvilinear surface. 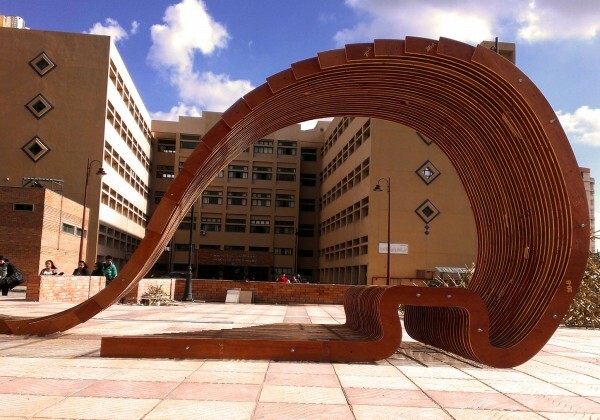 Course Lecturer & Supervisor: Dr. May Abdelhamid AbdelMalek Ali. 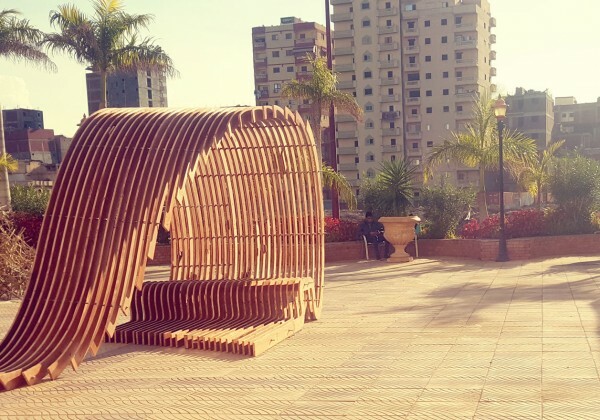 External Tutor & Supervisor: Architect / Aly Magdy Mohamed Fouad Ibrahim. 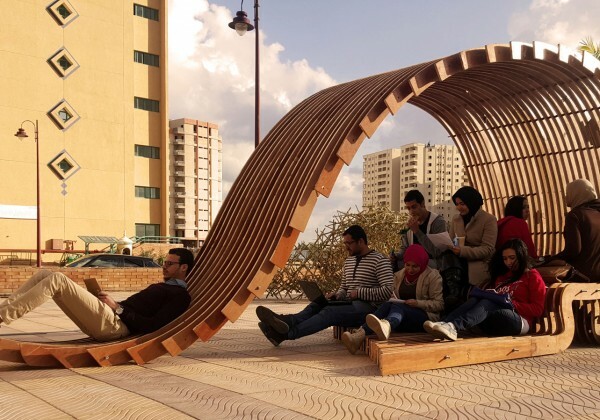 Course Instructors: Ahmed Elsherif, Rana Hisham, Mohamed Osama. 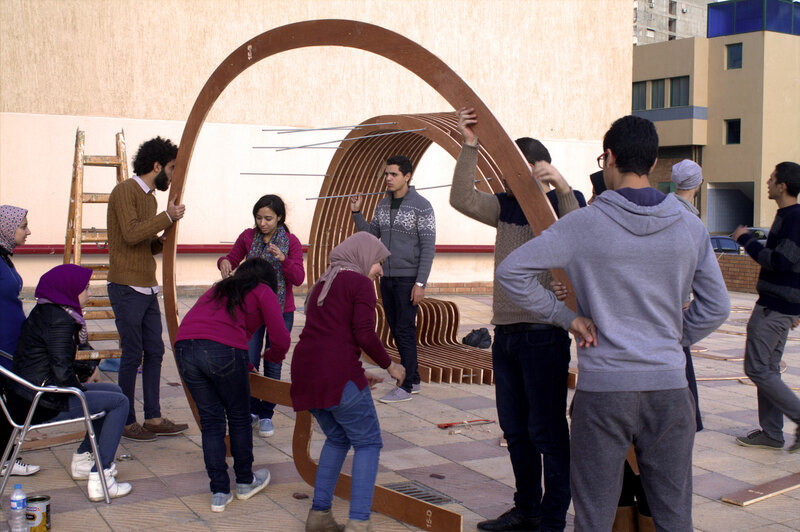 Team work: Fatma Hassan, Mayar Alaa, Mayada Alaa, Rowan Makrm, Mohamed Amrawy, Mohamed El-shenawy, Karem Hani, Alaa Omar , Esraa Ahmed, Antonios Ramses. 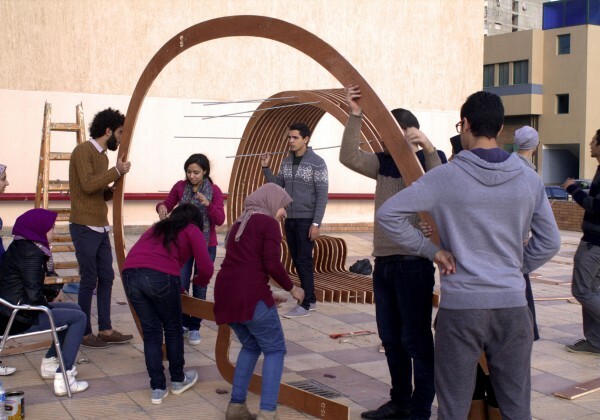 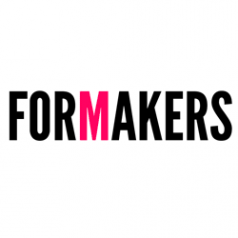 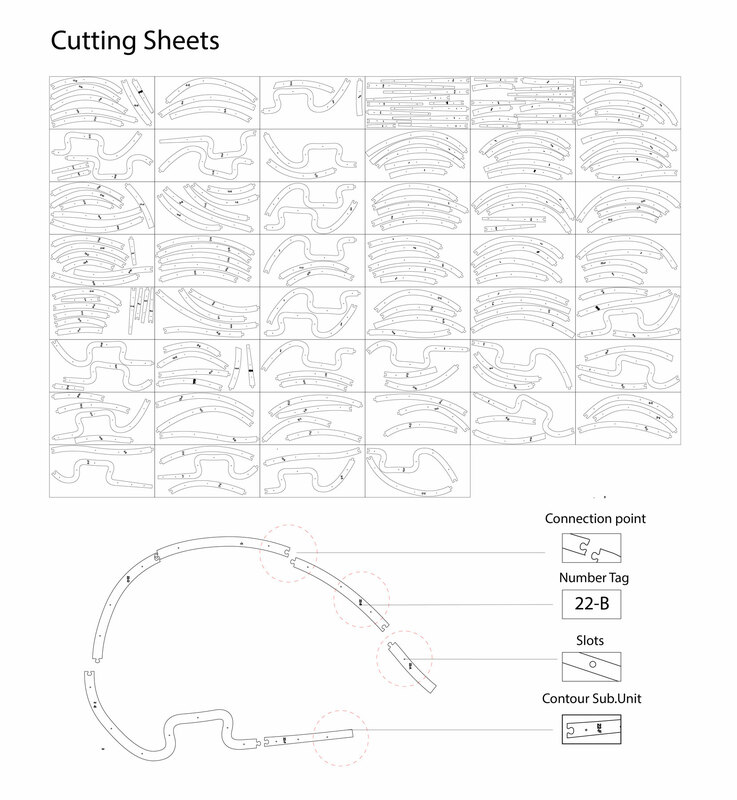 Course: Furniture design 3, Code: IDF 4102. 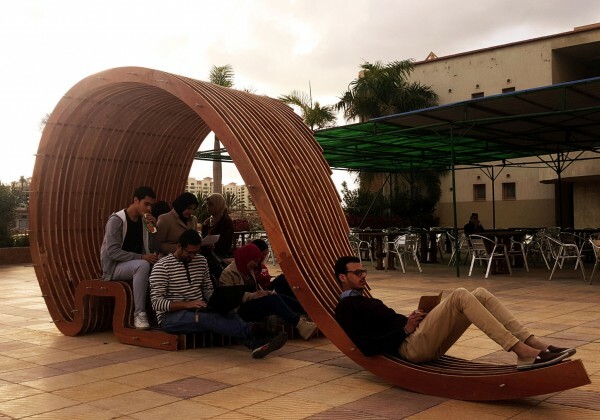 Location: Pharos university in Alexandria, Egypt.